Need a website but don't know where to start? Using Squarespace's web building platform in conjunction with custom code, I'll build you a gorgeous website that reflects your aesthetics and appeals to your desired demographic. You supply the content and I'll take care of the rest. 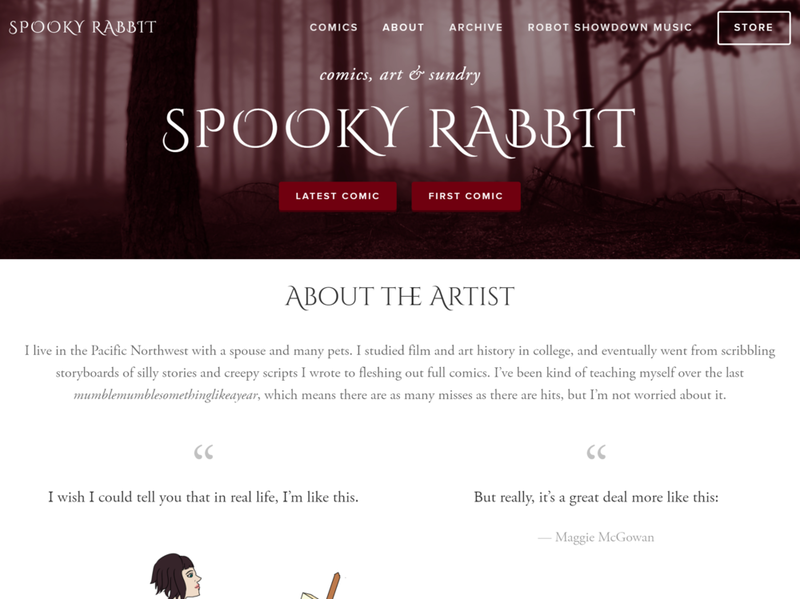 An elegantly creepy site displaying the artwork and web comics of Maggie McGowan. Information and upcoming events regarding a particular lodge of Freemasons. After contacting me with the details of your desired site's purpose and general design, I'll create a 14 day free trial site with Squarespace's web building platform and layout the basic structure of your site. For more information on Squarespace's web building platform, you can visit their site here. Once your site's design and structure look good, we can begin to add the meat of your site: the content. We'll setup a shared, secure Google Drive folder, where you can submit image and text files for each of the pages of your site. After the 14 day trial period, I'll help you choose a paid plan with Squarespace, which will serve as both your site's file host and web building tool. If you'd like to setup a custom domain, I'll guide you through this as well! Use the form here to inquire about services, rates, and potential projects.